$10 for your logo design. This album holds 80 4" x 6" photos in clear acid-free pages to protect your special photos. 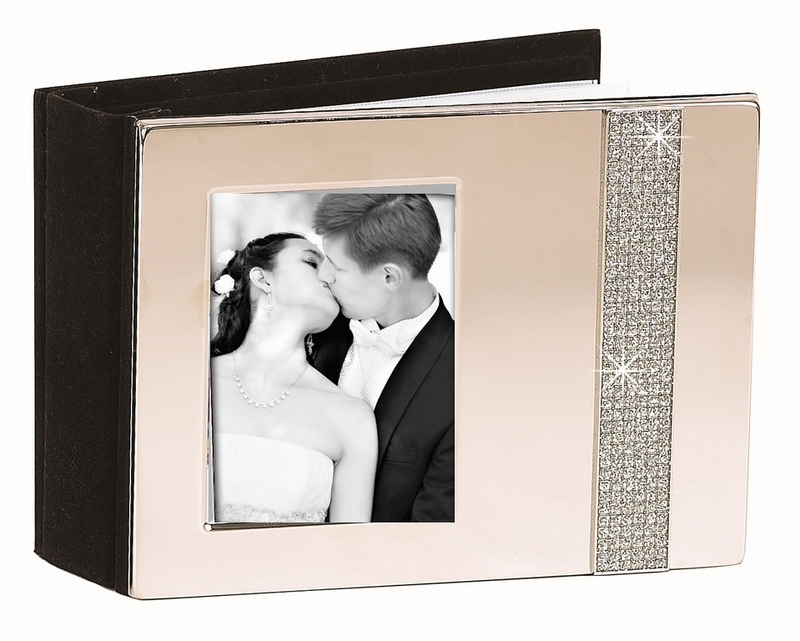 Album Engraving with a horizontal orientation and features a stripe of Glitter Galore, our own look of encased crystals covered with acrylic and encased in silver, non-tarnish colored metal on the front cover along with a 3" x 4" photo opening. Page backgrounds are white and the spine and back cover are flocked, black cloth. Overall dimensions are 7.5" x 5.5". White gift box.